As the huge success of Jurassic World has shown us, dinosaurs are as popular as they ever were, and maybe even more so! Chances are, when you were a kid, you were captivated by the idea of gigantic lizards roaming the earth millions of years ago, and now, a new generation of dino fans is being created. 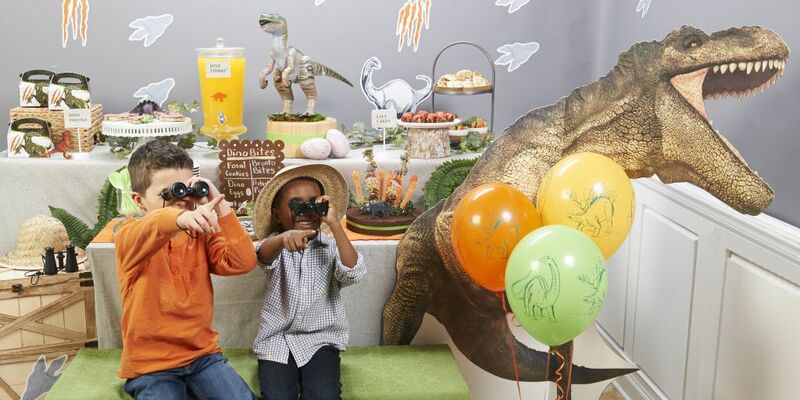 If your child is crazy for dinosaurs, they’re probably asking for a dinosaur themed birthday party. And here at Birthday Express, we’ve got more than enough dinosaurs to go around. 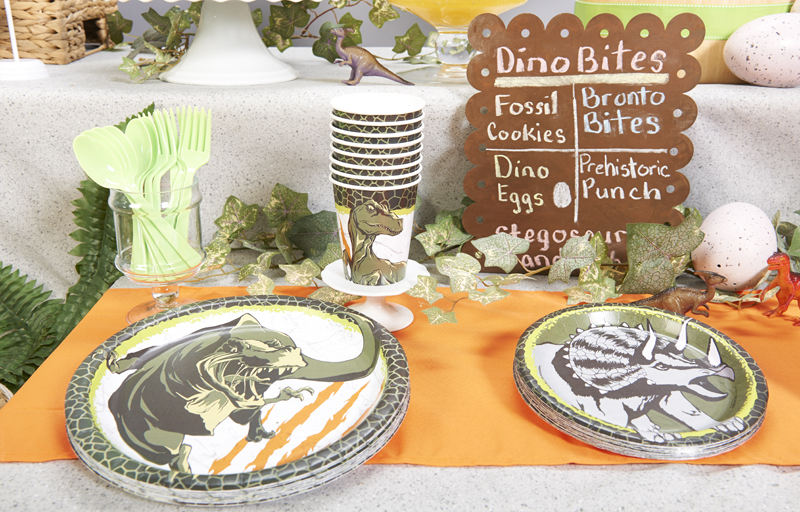 Check out the dinosaur party created by Brittany Schwaigert of GreyGrey Designs, right in her own backyard! If only the Indominus Rex will do, take a look at our brand new Jurassic World theme in action! If you like your Dinosaurs with a side of Power Rangers, try our Power Rangers Dino Charge theme! 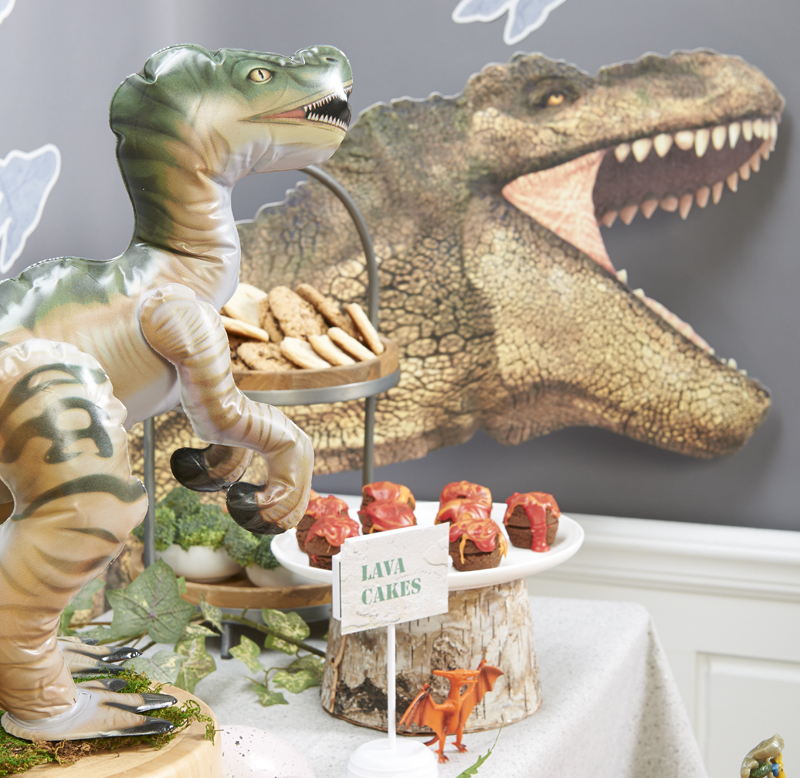 Click here to see all of our Dinosaur themes, including a supercute 1st birthday party design! 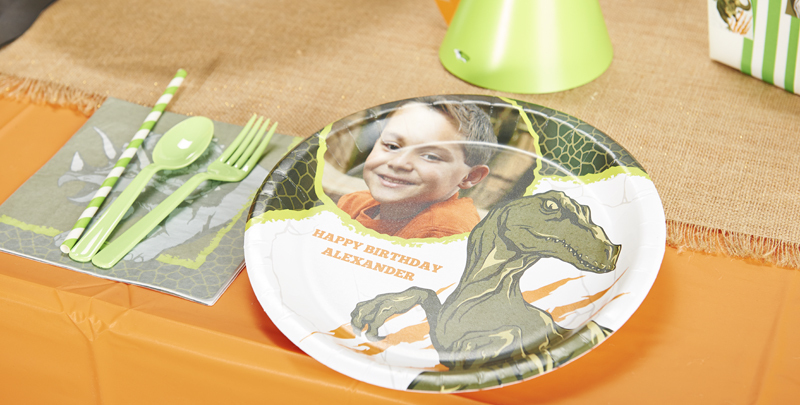 We have fantastic tableware for your Dinosaur party, like plates, cups and napkins. Get everything you need in one bundle with our Express Value Pack. 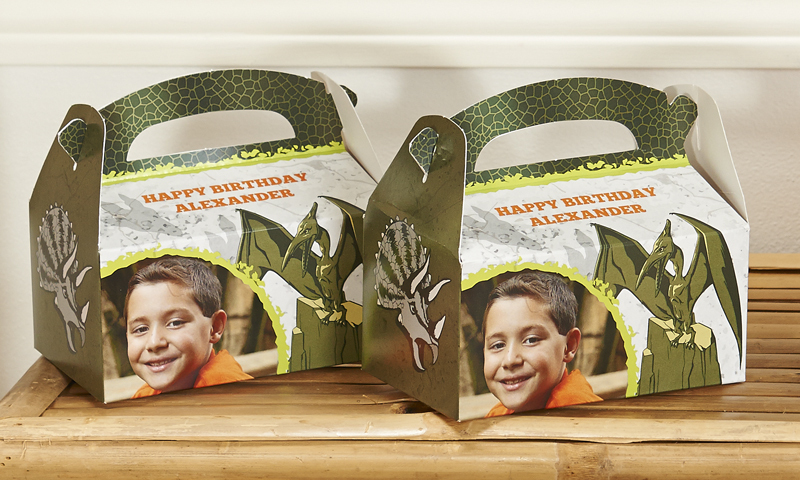 There’s also a personalized version of the new Dinosaur theme, where you can use your child’s name and add their photo, to make their special day even better! And it’s not just for plates, either! 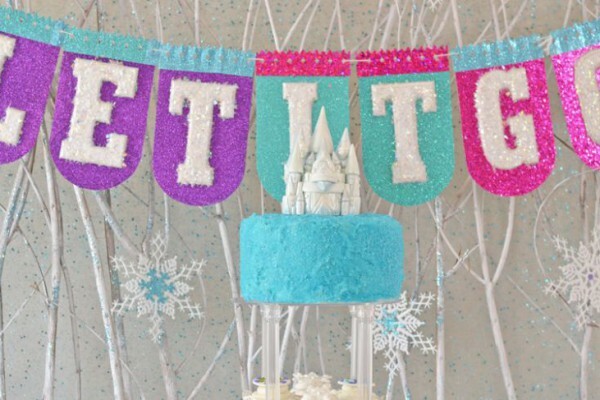 Our personalized vinyl birthday banner can serve as a point of pride for your little one, making them feel like it really is their special day. When they see a giant banner with their name and photo, their face will light up, and who knows? 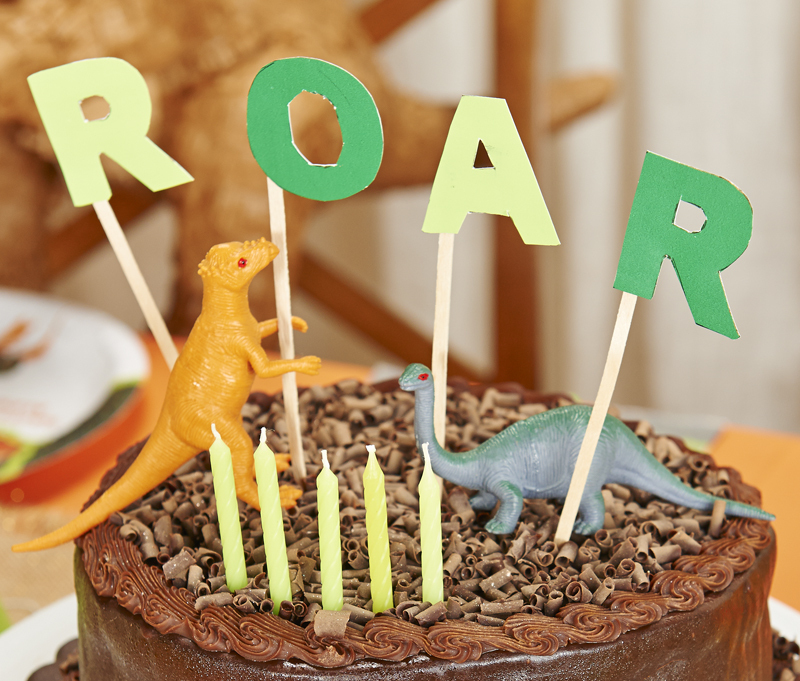 Your little birthday-saurus Rex might just roar with delight! 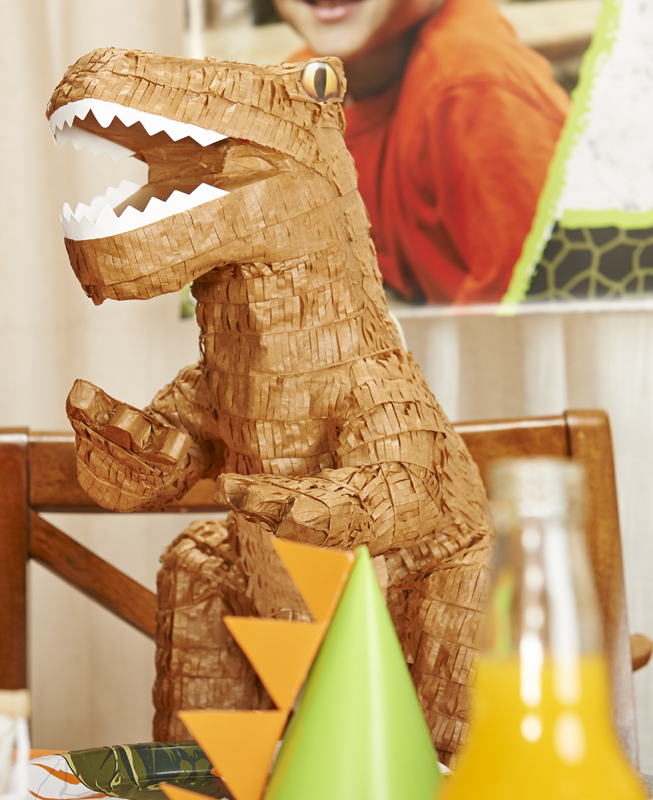 Piñatas have been a classic staple of any birthday party for many years, and we have one in the shape of the most adorable carnivorous thunder-lizard ever. See what we mean? For a guy with such sharp teeth, he sure seems huggable. 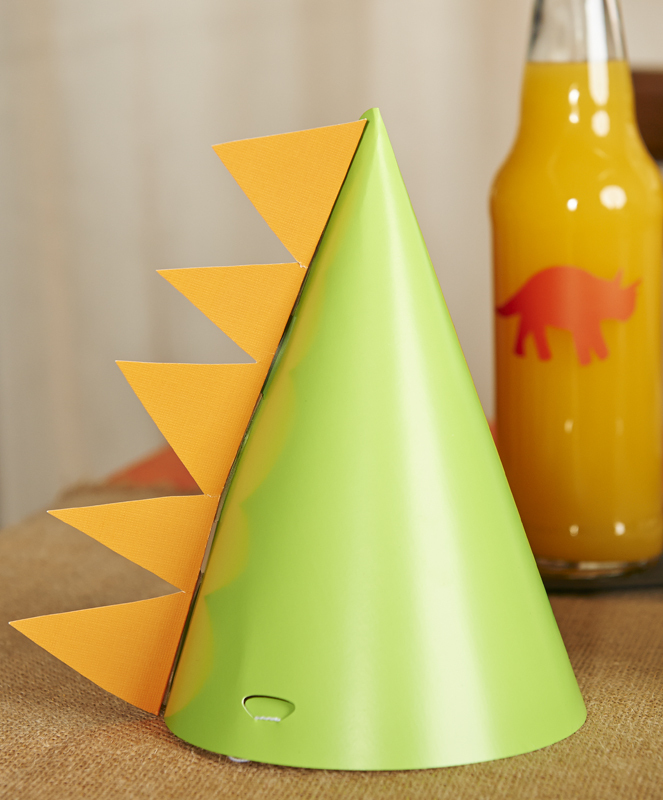 This variation on the classic paper cone party hat is actually a breeze to make. We used these lime green cone hats and orange construction paper to match the colors of the theme design, but you can use your child’s favorite colors or any others you like. Just cut some triangles out of the construction paper and hot glue or tape onto the cone hat to mimic a dinosaur’s spiny scales. Every party needs balloons, and we’ve got you covered there, too. 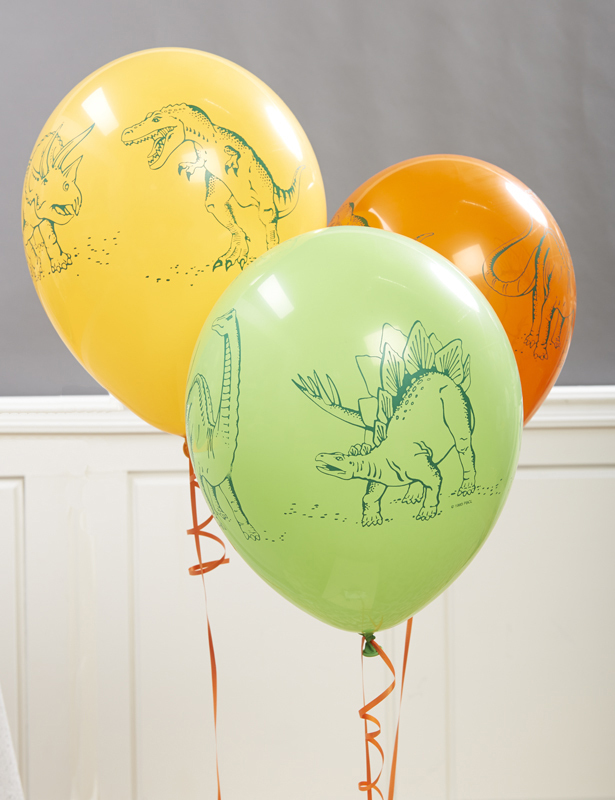 Check out these latex balloons, printed 360° with your kid’s favorite dinosaurs. 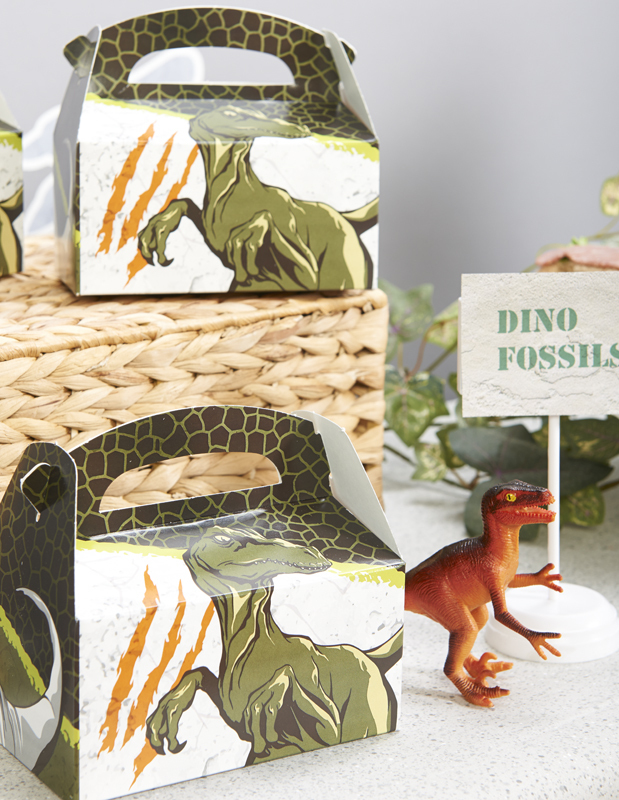 Send the guests home happy with fun party favors in these fierce and fearsome favor boxes. We also have these great personalized favor boxes, too. And now we come to everybody’s favorite part of the party–the treats! Don’t be fooled; that’s not actually a chocolate cake. It’s a circle of styrofoam from the craft store, spray painted brown. It serves as a nice base for the orange rock candy sticks and the gummi dinosaur kabobs. As a side note, all of the foliage you see in the pictures is just faux plastic plants, which you can also get at your local craft store. They make great accent decorations for a dinosaur party, and can be re-used in different party themes and projects. They’re a great thing to have around the house, just in case you need to create an impromptu forest for any reason. As you can see, we love using these little plastic dinosaurs as all purpose accents for decorations and food displays. Which can be confusing, because they are very inedible. However, what they lack in digestibility they more than make up for in bright colors and cuteness. 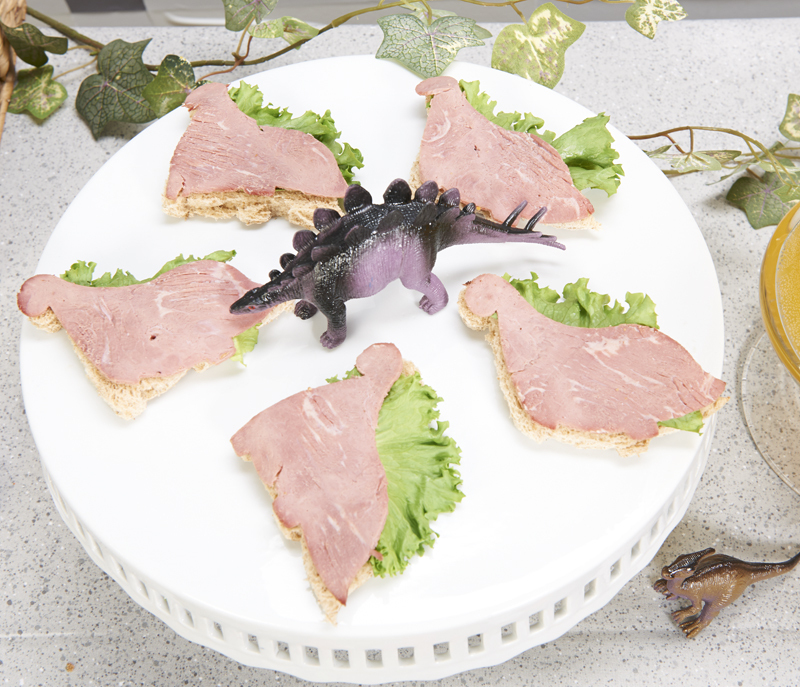 A stegosaurus stands guard over these open face dino sandwiches. The ingredients are just wheat bread, lettuce and deli meat, and the shapes are made with a simple cookie cutter. 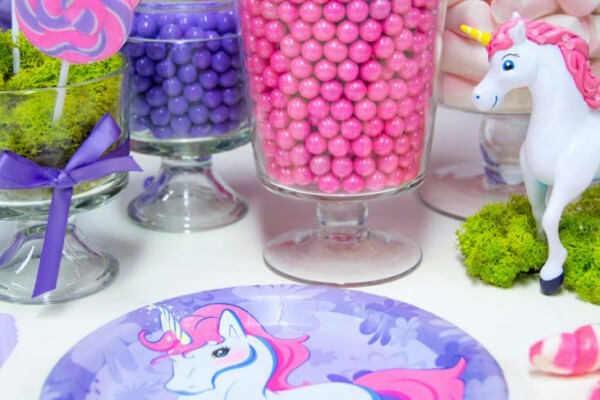 They’re so easy to make, and as an added bonus, they have a little something for both the carnivores and the herbivores at the party! 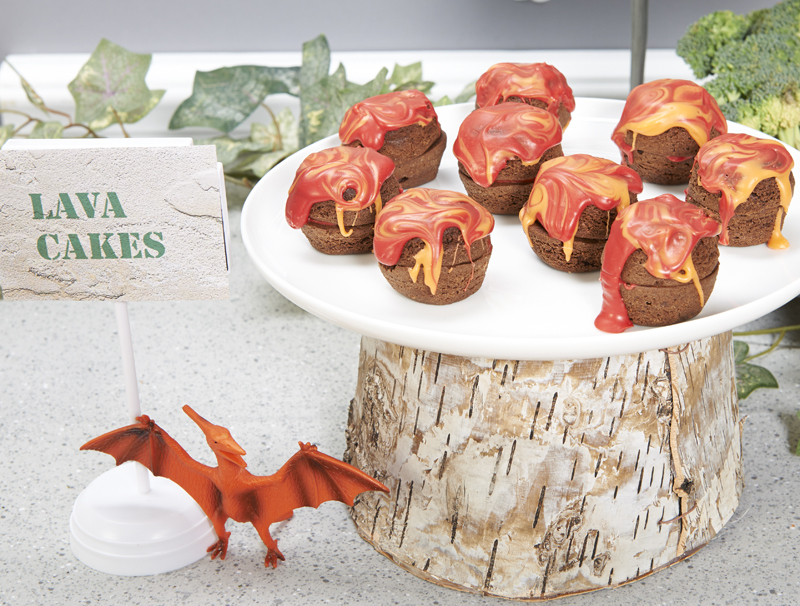 This pterodactyl is the perfect complement to our delicious lava cakes–Just two brownie bites stacked on top of each other, secured with a dab of frosting, and drizzled with a red and yellow glaze. 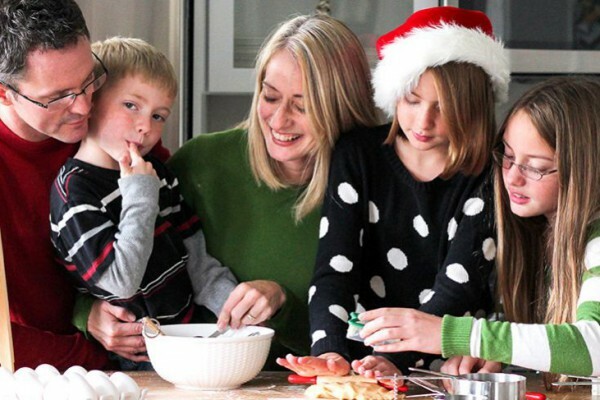 And the best part is, unlike real lava cakes, ours won’t melt your face off! 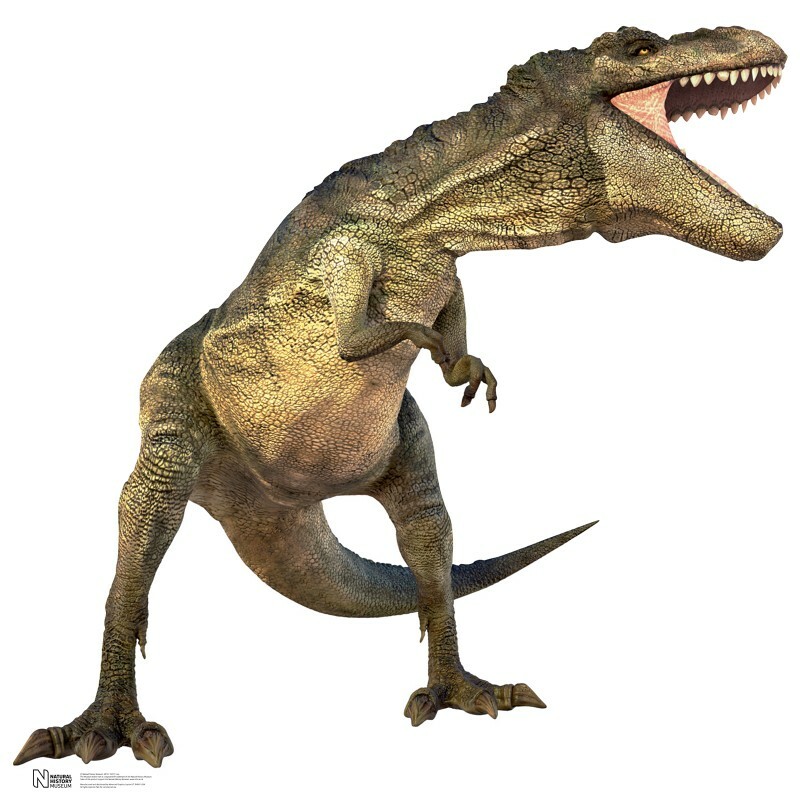 To tie the whole party design together, consider adding dinosaur inflatables or this giant cardboard T-Rex stand-up. It’s over five feet tall and serves not only as a great back drop, but also as a conversation set piece and a focal point for the entire party. The guests can pose for photos with T-Rex, and you can print them out and send them with your Thank You notes as a great keepsake. 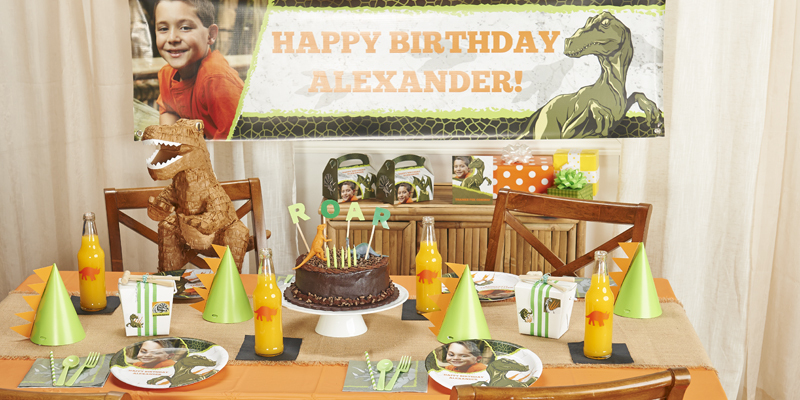 Click here to see all of the Dinosaurs themed party supplies at BirthdayExpress! 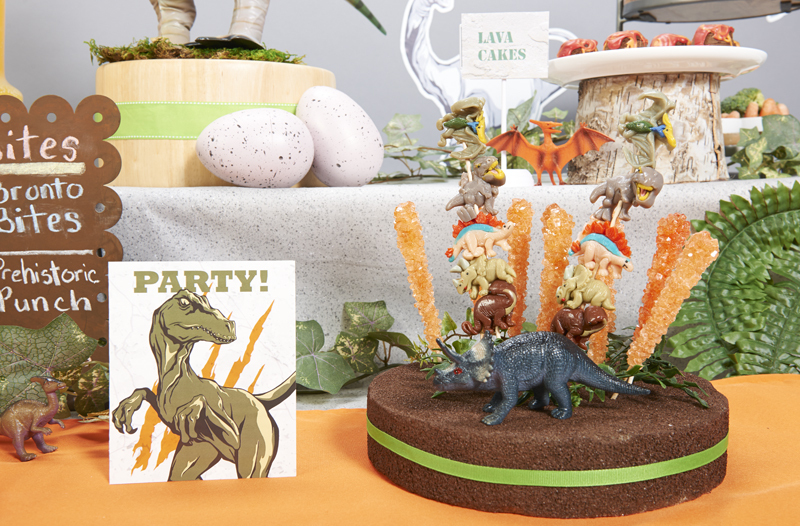 Have we inspired you to throw a party that’s as classic as it is Jurassic? What kind of theme should we feature next? 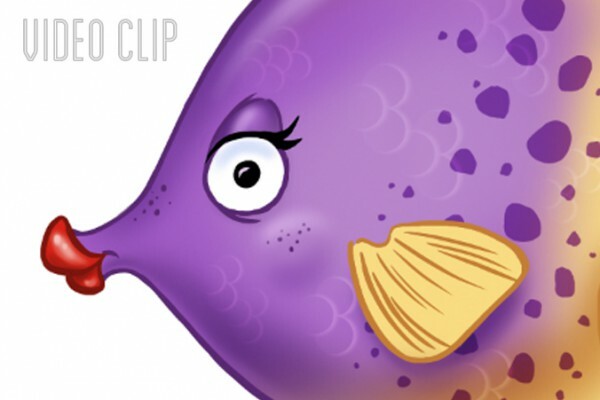 One of a few different sea creatures created for a photo-op soon to be offered by BirthdayExpress.com. Illustrated in Photoshop.